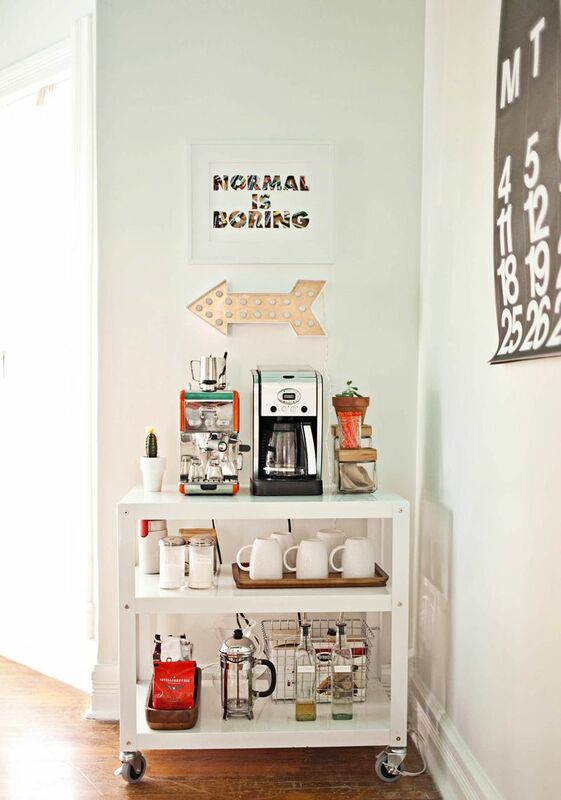 Here are 30 brilliant coffee station ideas for creating a little coffee corner that will help you decorate your home. 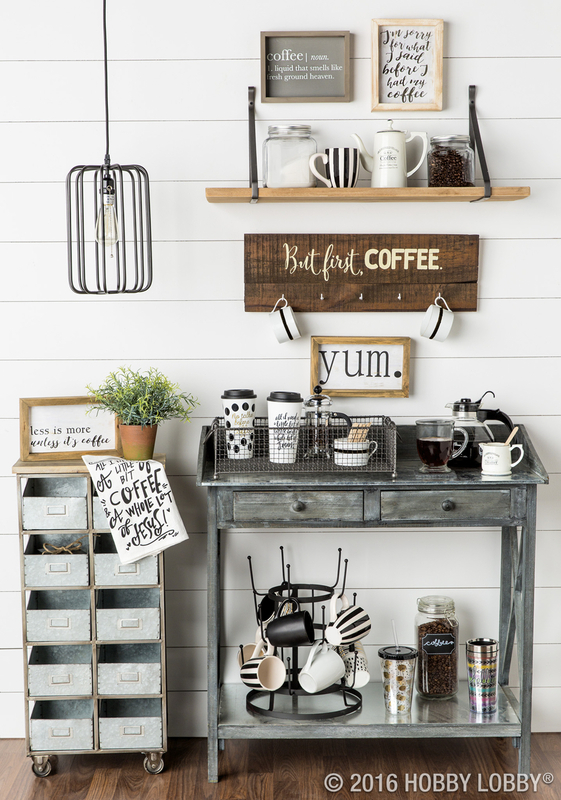 Build a small coffee station from a vintage crate to add some variety in your decor. 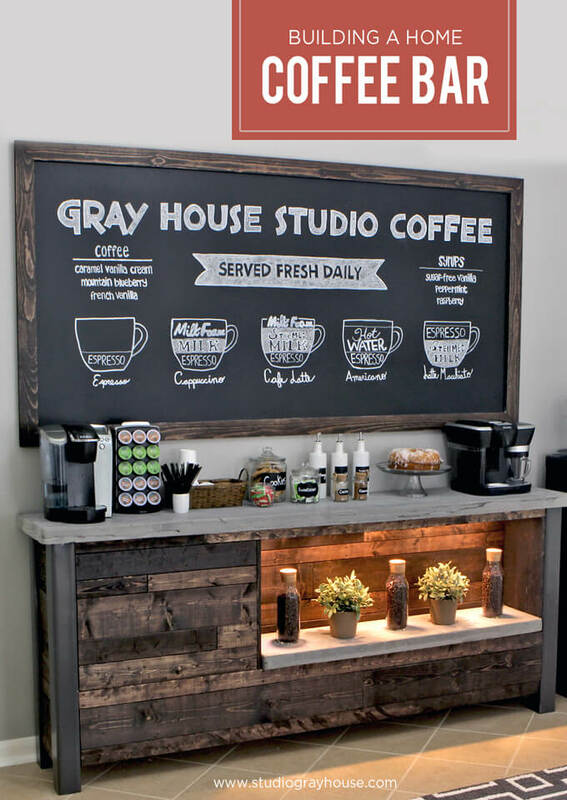 Build a rustic coffee station that stands out! 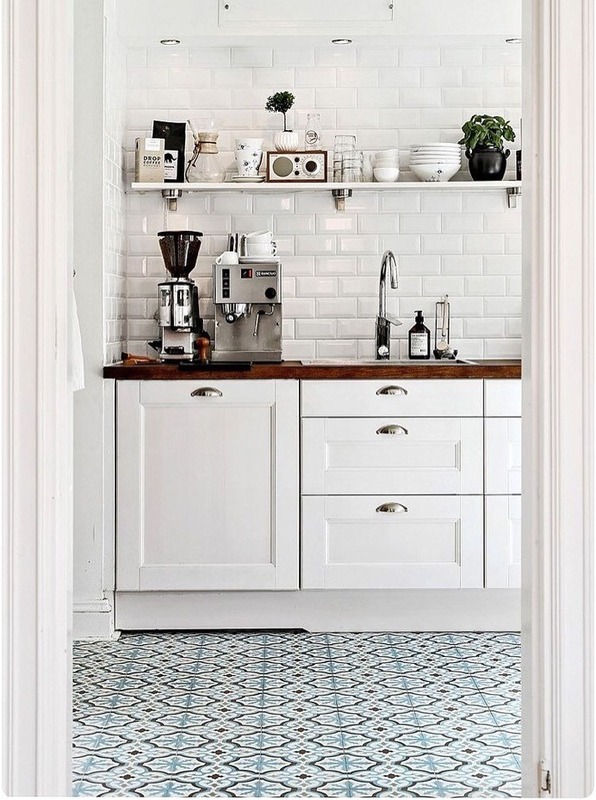 This wonderful home decor statement is a committing project. But is all worth it! 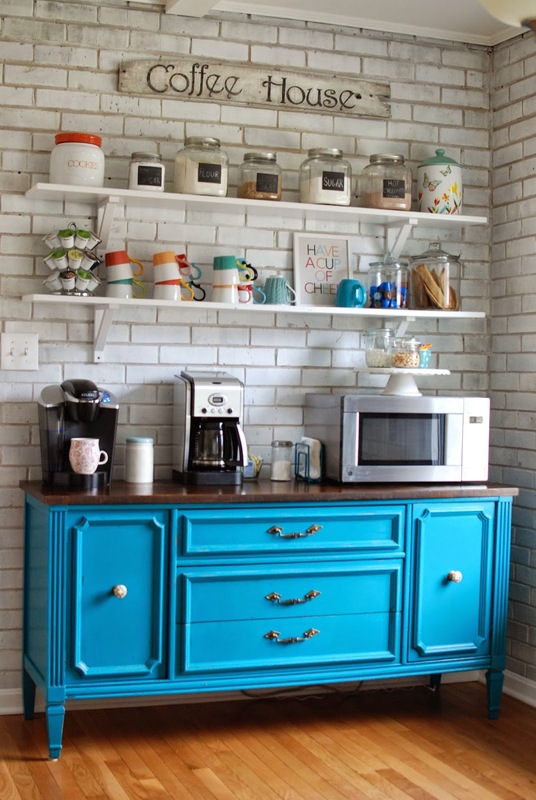 Bring bright colors to your kitchen with a DIY coffee station. 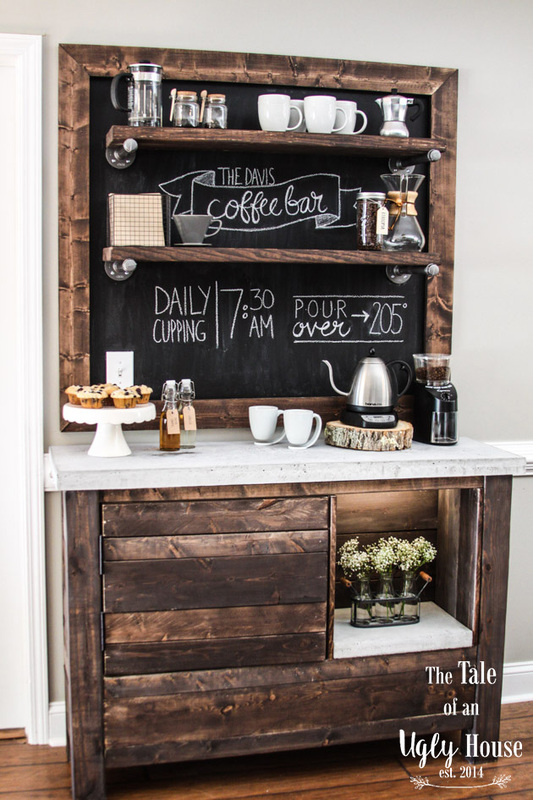 It’s always time for a cup of coffee with this rustic DIT coffee station. 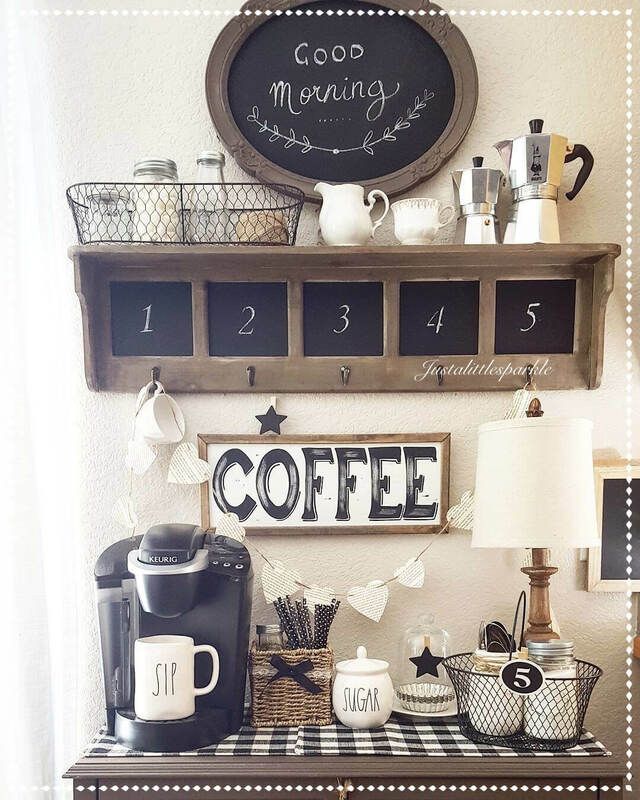 Display everything you need for a cup of coffee! 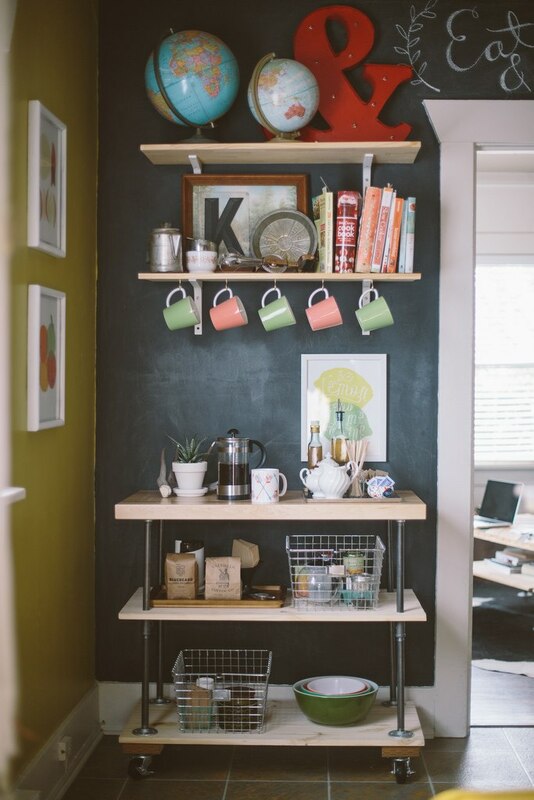 ​Bring an old bookshelf to life with a few coats of paint. 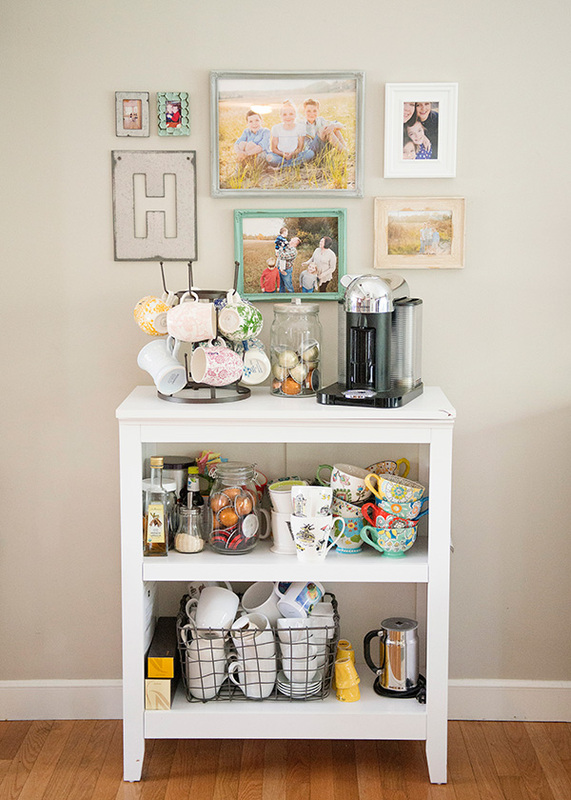 Add the right accessories, like a cute wire basket and a rod or two for dishtowels to get the perfect coffee station. 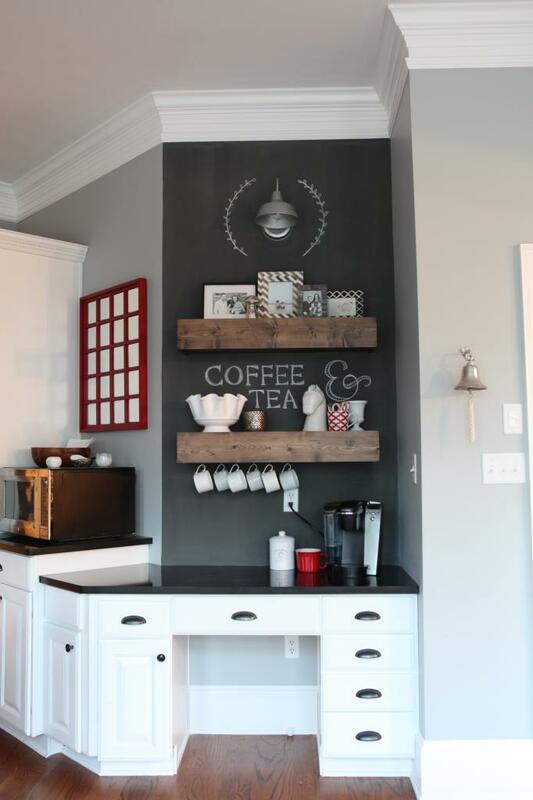 Wooden island and floating shelves as a great coffee station. 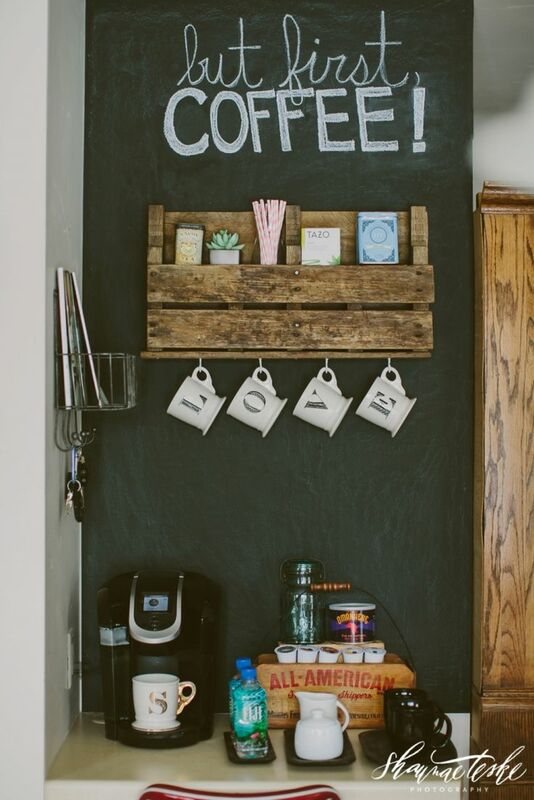 Having a well thought out station for your coffee can make a world of difference! Need a caffeine boost? 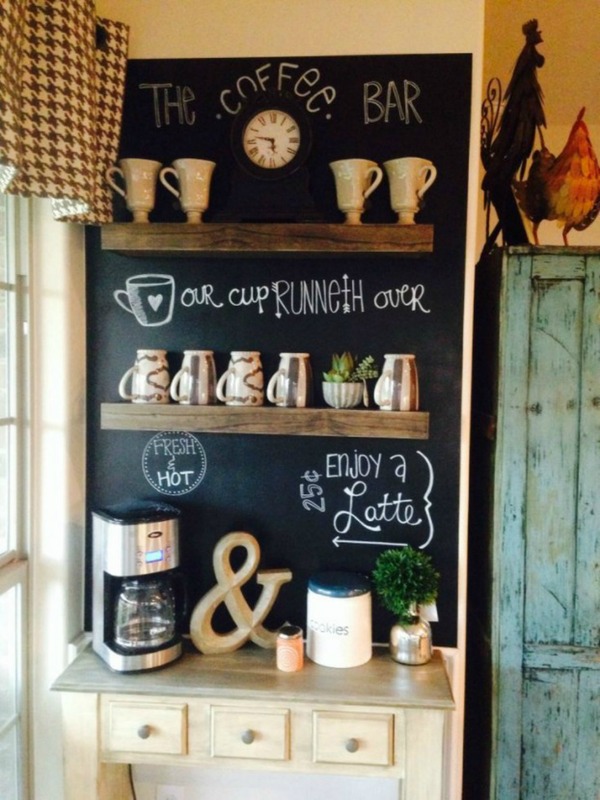 Here’s a one-stop-coffee-shop you can enjoy in your jammies. 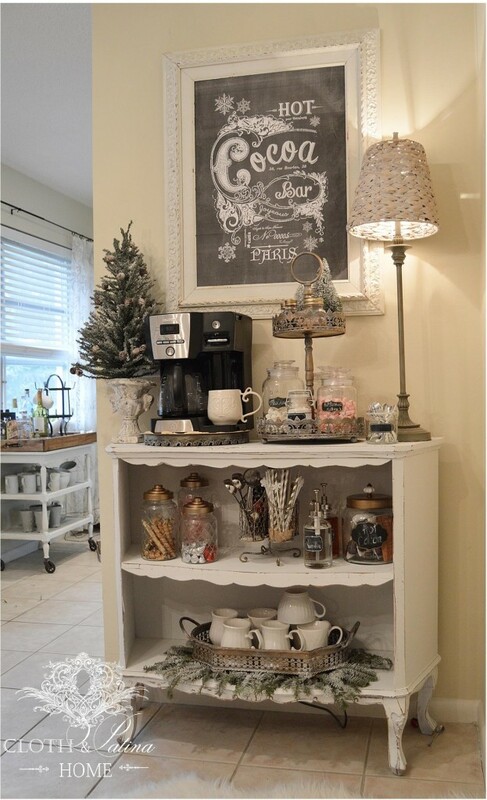 Repurpose an old dresser and turn it into a personal coffee station for storing your coffee essentials. 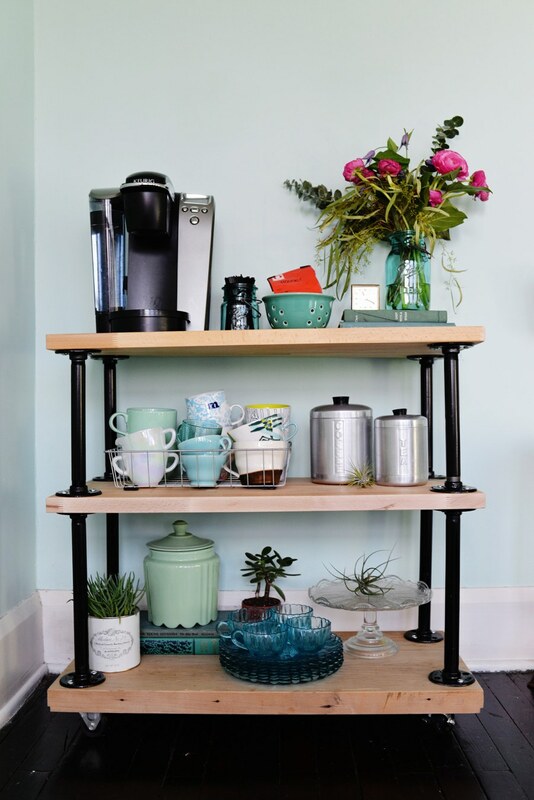 Use a rolling cart to create a well-organized coffee station. 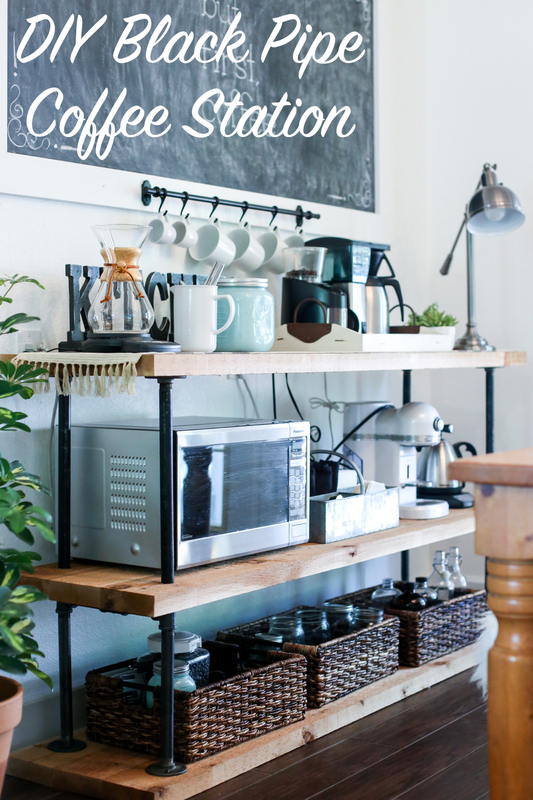 Simple and functional, place your mugs, machines and condiments on a rolling cart for easy access at all times. 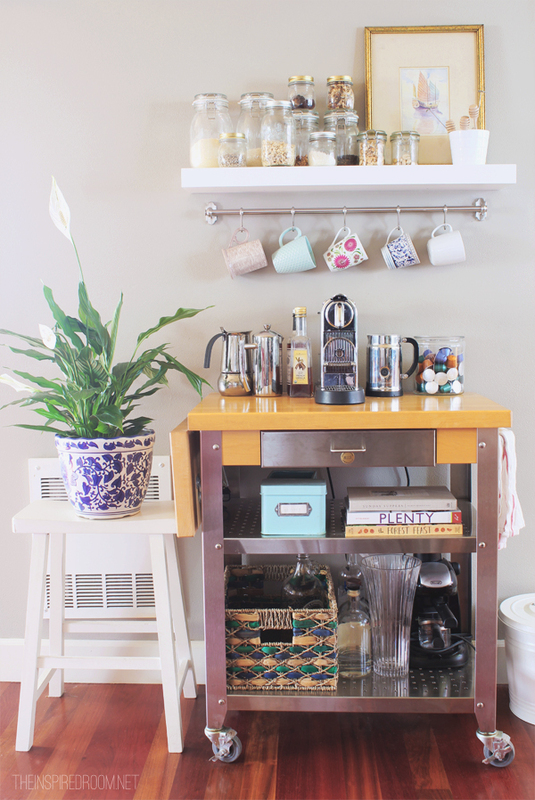 Transform that unused desk area in your kitchen into the perfect coffee bar. 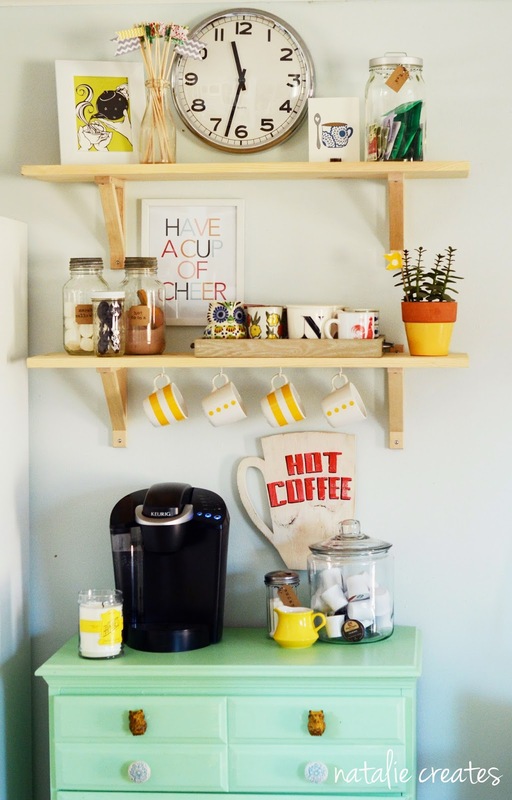 Add a great home accent upgrade with this cute storage and coffee bar using IKEA shelf. 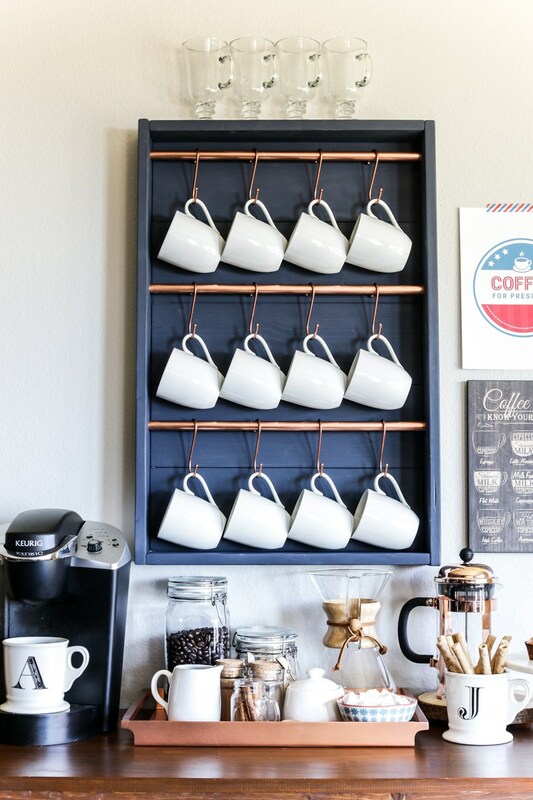 This navy blue organizer with copper hardware can help you keep mugs within reach. Perk up your morning and save yourself from the afternoon slump. 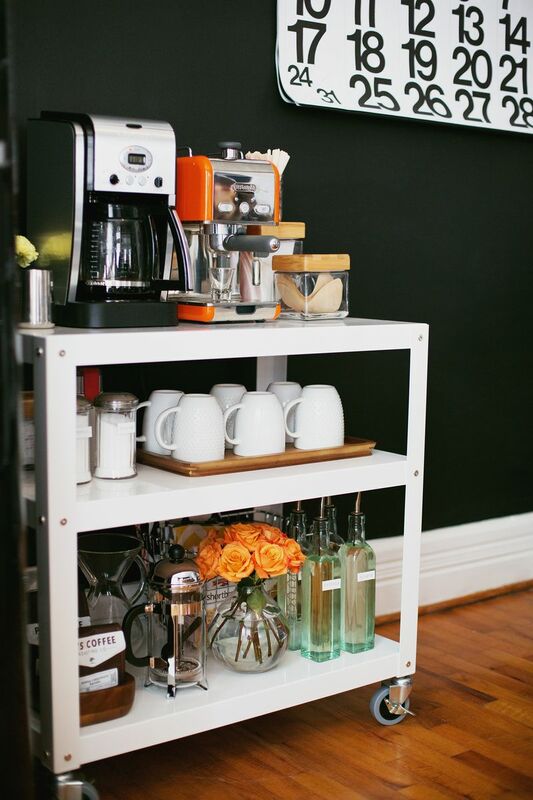 Set a multi-level coffee cart on caster to roll it wherever a double-shot espresso is needed. 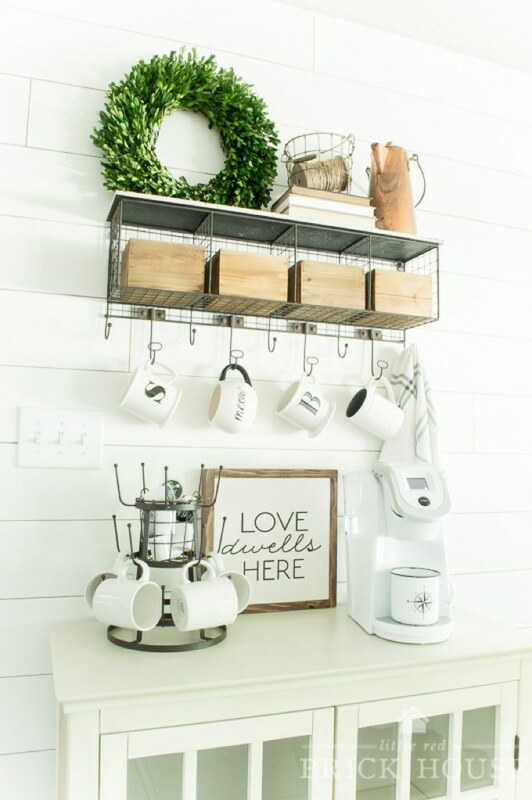 Elevate your coffee essentials by hanging mugs from a rail and storing supplies along a shelf. 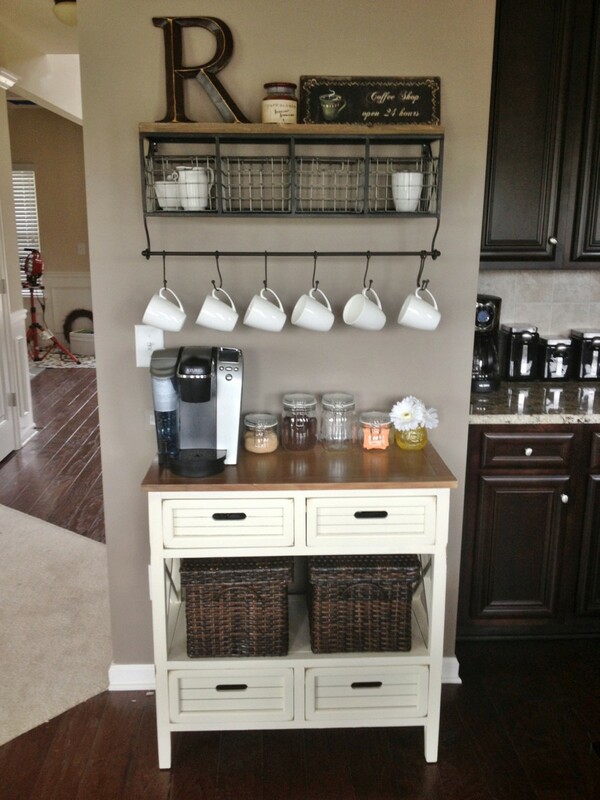 Make this perfect space for storing your coffee and tea accoutrements. 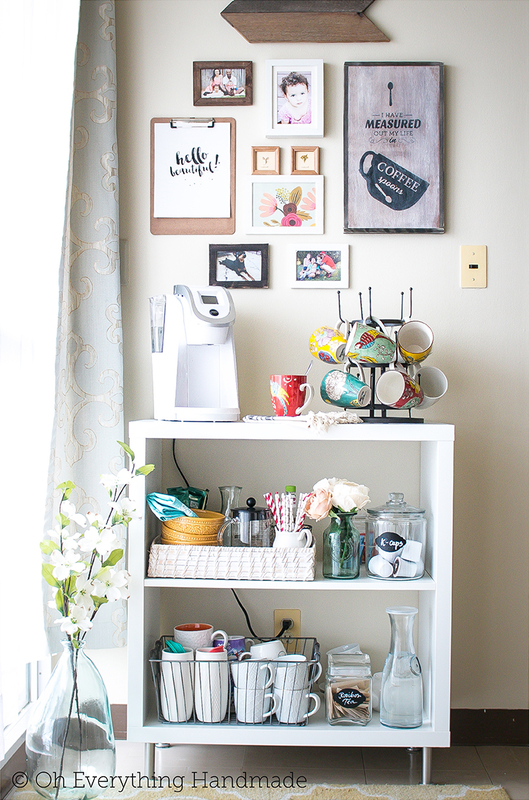 Looking for an easy DIY coffee station? 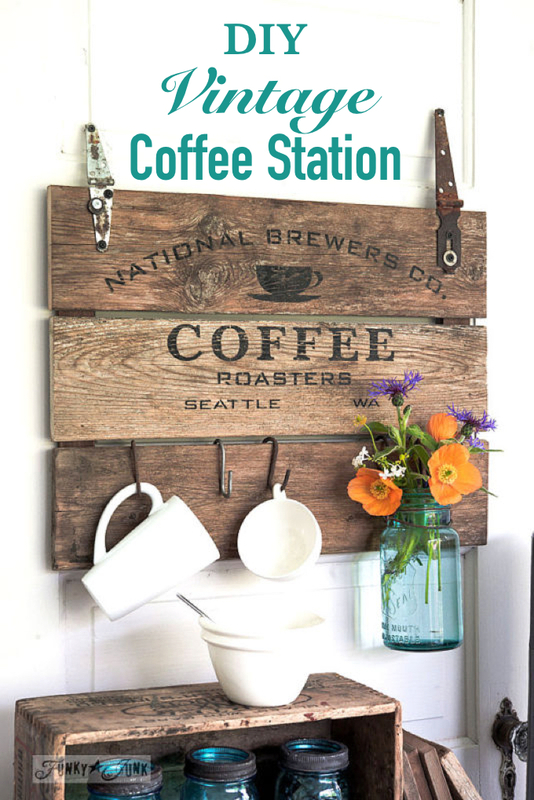 This idea is simple & goes with your house’s farmhouse look! 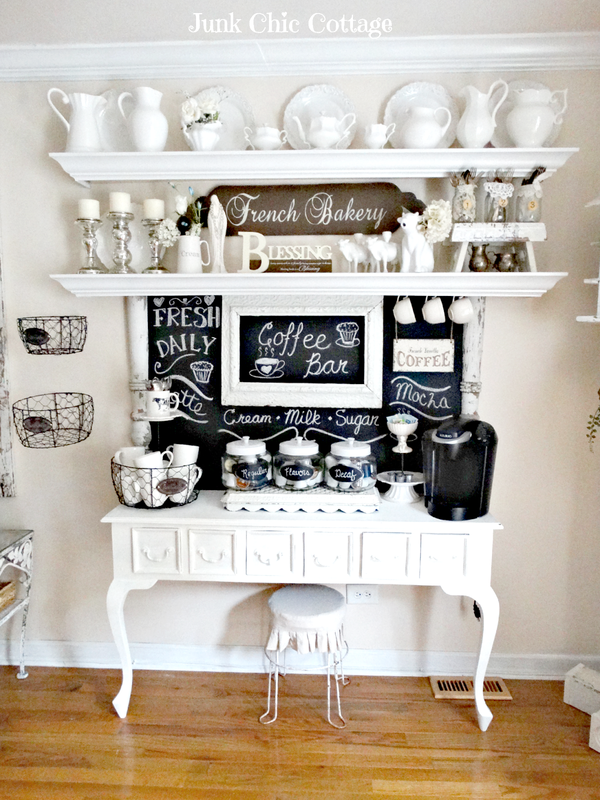 Simple and sweet, this coffee station has homey vibe. 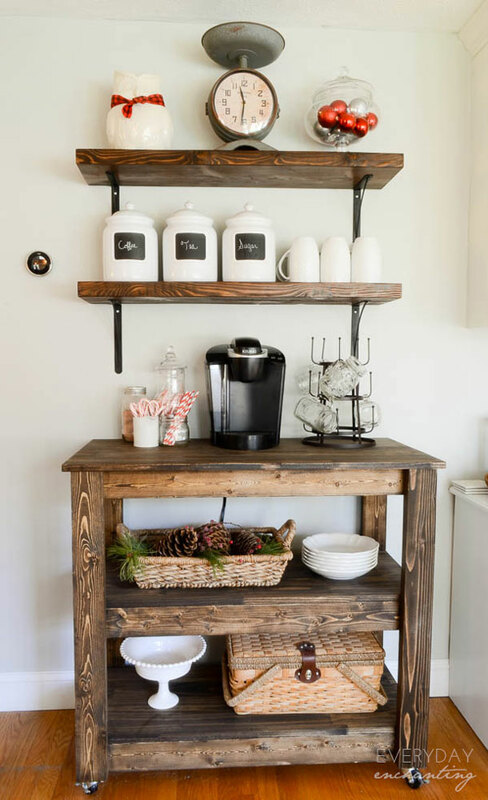 All the necessities are there at a hand’s reach and the bit of rustic style helps to blend it within the rest of the kitchen. 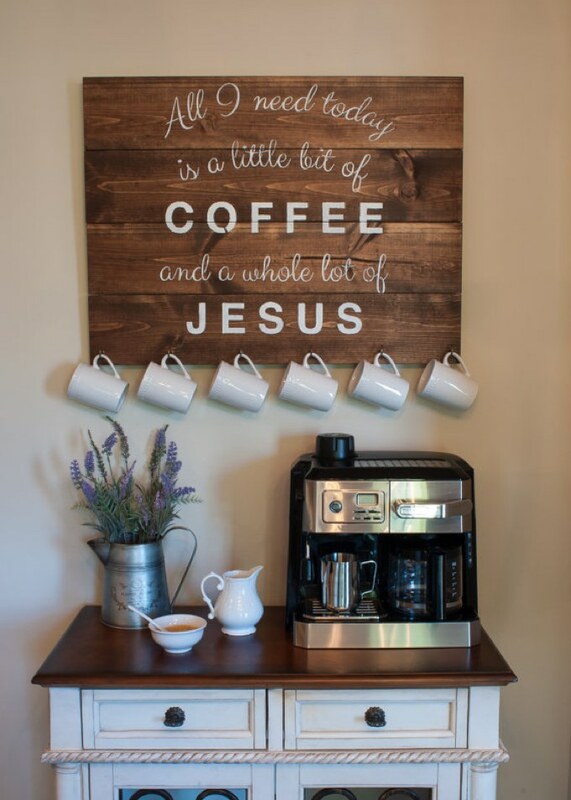 Start your day with the perfect blend of humor and faith. Hi, I'm Paulina and I am the person behind this website. I want to help you visualize and create beautiful home. 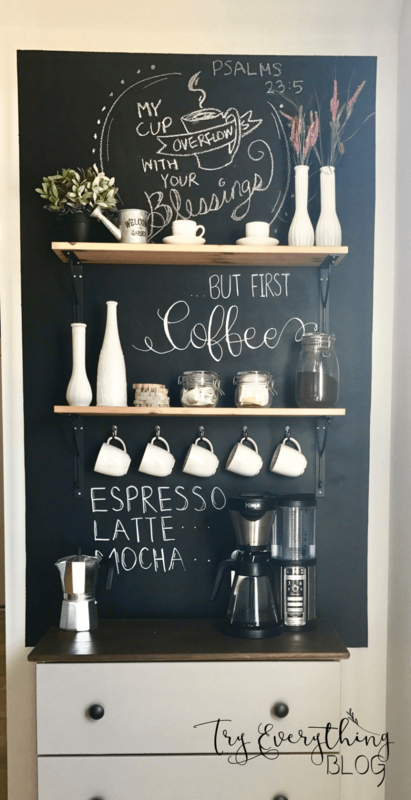 I believe decorating your home is easy, affordable and fun and I will do my best to share the information you need on this site to truly make your house feel like home!